Cardinal Yeom: "The visit of the Catholic delegation to the North is a starting point"
Pyongyang (Agenzia Fides) – The 17-member delegation’s visit representing the South Korean Catholic Church ended on 4 December. The delegation included four bishops – among them, Archbishop Hyginus Kim Hee-joong, President of the South Korean Bishops’ Conference – priests and representatives of the Church committees for the reconciliation of the Korean people, present in all dioceses and the Benedictine Abbot, Simon Peter Ri Hyeong-u, of the Abbey of Waegan. 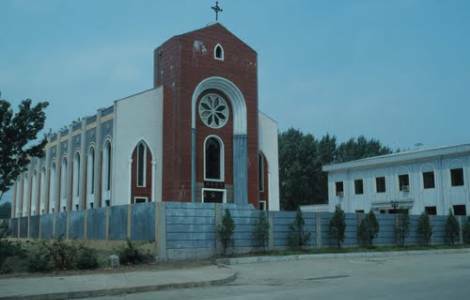 They had been officially invited by the Catholic University of Korea, an organization headed by the North Korean regime. Before departure, Mgr. Kim Hee-joong, Archbishop of Gwangju, had expressed before the media the hope "that in the future more and more South Korean priests will travel to North Korea to celebrate Mass". In the past, other Korean Bishops had individually visited North Korea, but since the Korean peninsula was split in half a delegation representing the South Korean Catholic Church has, for the first time, crossed the border to visit the northern part of the Peninsula. During the visit, the bishops and priests from the South also tried to update themselves on the real situation of the Catholic communities which are apparently still present in North Korea. They have been deprived of ordained ministers who could celebrate mass and listen to confessions, for decades.